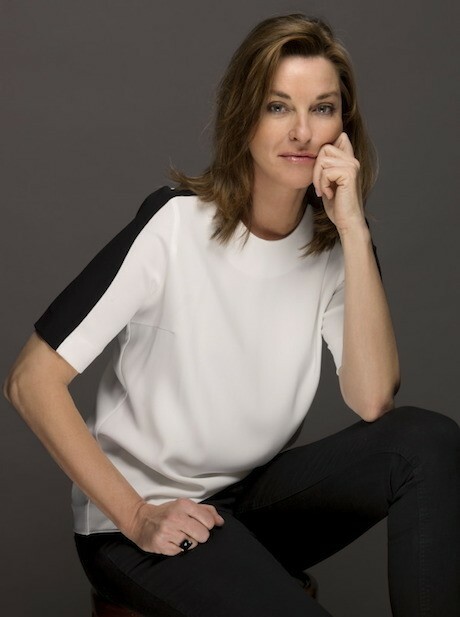 Caroline de Marchi is a beautiful, engaging woman who oozes the seductive charm Parisiennes have nurtured for generations: a relaxed elegance that is a careful controlled balance of old world tradition, modern ease with just a touch of the exotic. With flowing, sleek hair, her open smile and sparkling eyes suggest a friendship you’d cherish. Born in Belgium, raised in Paris, Madame is now an international globetrotter who once lived in Egypt, and now considers herself at home in Milan, Sao Paulo and Paris. 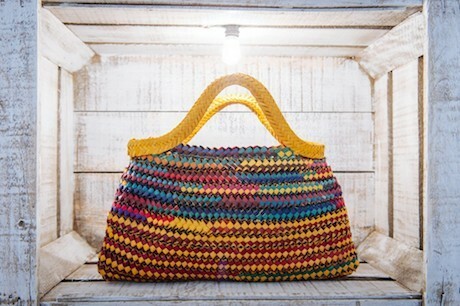 Several years ago, the color and energy of the places she visits inspired her to design a handbag. She wanted a bag that was her own. An original design that matched her international lifestyle, a look that wouldn’t be found on every other woman who passed, yet was as luxurious as any designer French handbag. While on holiday in Bali, Caroline worked with a local team and came up the Cubo, a practical bag that her friends envied. She made a few to share and then five years ago, she started working with a series of passionate artisans in Italy to make even more. Soon, it was official, she had a showroom and was sharing her remarkable sense of the style with the world. Caroline may never forget the thrill of satisfaction upon seeing a client joyfully spill the contents of a Birkin bag into their newly purchased Cubo. It is sight she gets to enjoy more and more as her bags are spotted on the arm of Sophie Marceau and set to be featured on the curated online boutique, Moda Operandi. 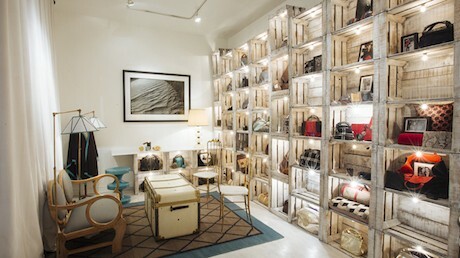 The bags can already be found in the US at exclusive boutiques like Savannah in Santa Monica and Yuta Powell in New York City. Sitting in her boudoir inspired space, I feel like an honored guest. White washed crates line the walls evoke the comfort of a gentle cocoon in the small space tucked into an 18th century courtyard on the posh rue St Honoré. We sip espresso from blue and white porcelain tea cups as Caroline’s stunning, bilingual daughter and manager of business development, Capucine shows me the details that go into each bag. 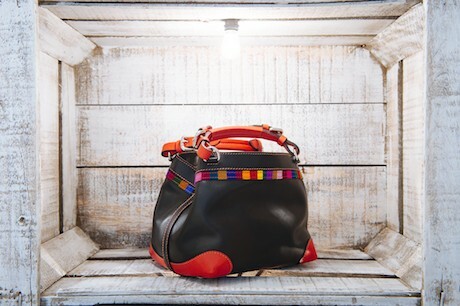 The leather lining that makes it a pleasure to search for those renegade keys, the unique blend of materials and the handles that hold it all together. 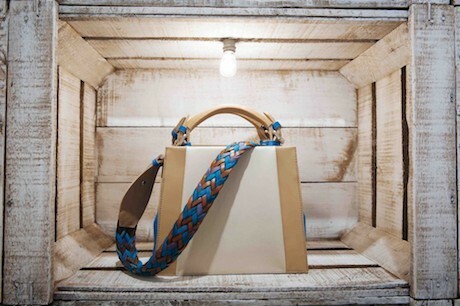 The collection as expanded with the summery, woven Bahia design and the architectural Bali bag. I am particularly intrigued by the combination of leather and wool or cotton: geometric patterns that give the sophisticated bags a touch of playful fun. There is only a small run of each design, and some bags can be customized. 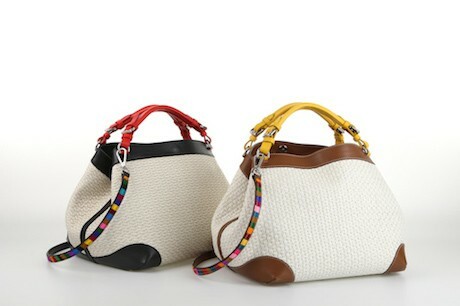 Fearful, I ask the price and I am surprised to find that these exclusive bags are affordable when compared to the more famous designer brands. 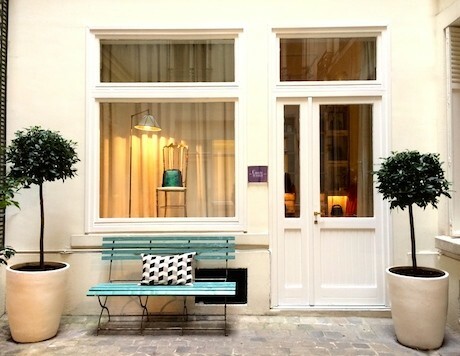 The large carriage doors that lead to the showroom may be closed, and it is possible visitors may be intimidated at the idea of pushing the button on the very official looking key pad at the entrance, but everyone is welcome and it well worth the effort for a rare peek into an insider’s Paris.